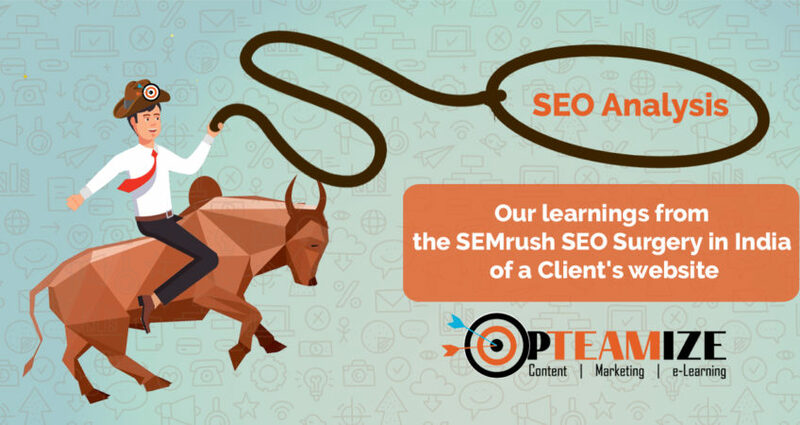 What Did We Learn From The SEMrush SEO Surgery? Opteamize reviewed a SEMrush SEO Surgery episode for one of the client websites that we are managing. If you are interested in improving your own website’s SEO, this post is for you. How Can You Analyze Competitive Backlinks? In this post, we are going to talk about how you can analyze competitive backlinks. To understand competitive analysis of backlinks, you must first have knowledge of what a backlink is.